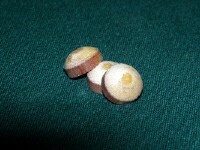 These are a custom blend which are machined to 14mm. They are incredible for jump or break shots. You'll jump effortlessly and attain more velocity in your break shots without any additional effort. You will certainly notice the difference and more importantly, so will your competition.